After 15 years on W. 65th Street in Cleveland, Ohio, we expanded by relocating to our new location in Parma, Ohio. 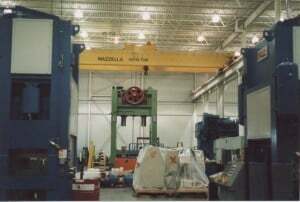 This facility has over 32,000 square feet of floor space for large capacity machining and horizontal milling, and a crane capacity of up to 100 tons. Press repair and rebuilding is the calling-card of FDC; it is our specialty. In our facility we have the welding and the machining capacity to handle most large frame equipment. 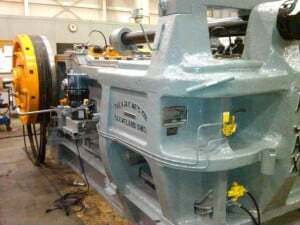 We can modernize or update older equipment with the latest technology across the board (hydraulic, pneumatic, lubrication systems, controls). Unfortunately, a company cannot be aware of when a press is going to break down. At FDC we offer a Preventative Maintenance program that allows for scheduled maintenance of a press, so that servicing may help avoid an unexpected breakdown. However, in the event that an emergency breakdown does occur, FDC offers emergency, expedited services to reduce lost production time. FDC Machine Repair Inc. offers a complete list of services to keep those in the metal forming industry operating to their maximum potential. After all, we want to continue operating as we have from our very first day. The bottom line is excellence! 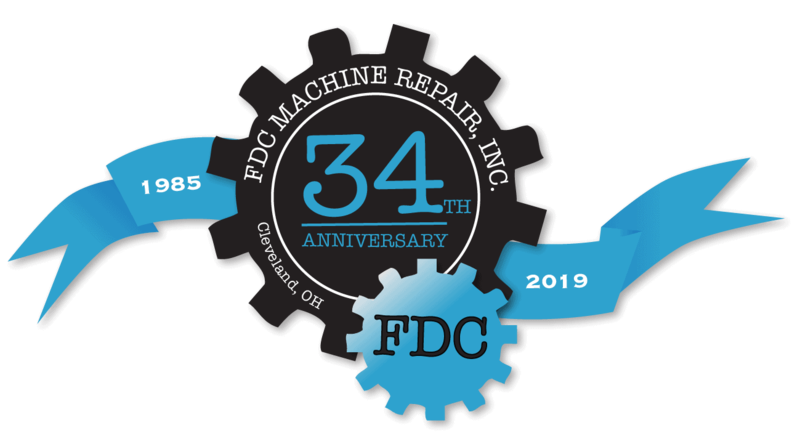 FDC Machine Repair used to be located on w 65th in Cleveland but relocated to our new space in Parma, OH. We’ve been in this location for 10 years. The new facility is equipped with over 30,000 sq. ft. filled with top of the line equipment. No matter what the job calls for, we can also offer logistics to simplify your life and further expedite the job.